The research of Vanessa Hatje focuses on the biogeochemical cycling of trace metals and carbon and how these elements are influenced by both natural and anthropogenic processes. Her research group develops new analytical techniques to detect trace metals, including rare earth elements, and organic contaminants in marine matrices. She applies these novel and pre-existing methods to better understand the factors affecting trace contaminants cycling, transfers at continental-ocean interfaces and interactions between biotic and abiotic components in coastal ecosystems. 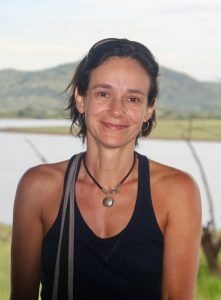 Vanessa Hatje has authored/ co-authored more than 50 papers. She has been continuously supported by research and education grants. Her most recent funded projects includes the study of technology critical elements in tropical marine environments and Blue C dynamics in mangrove and seagrasses.